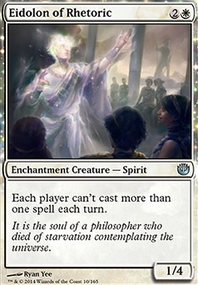 Through, from my oppinion, its better to protect life gain generators, that can do multiple triggers each circle (from your turn to your next turn) Soul Warden. Also, suggest Student of Ojutai. Decks looks fine, but... 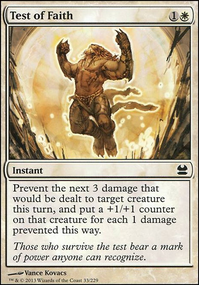 Isn't it would be stronger if there was more cards that generates more life gain triggers? 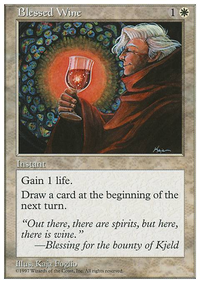 For example, Marble Chalice, Ephara's Radiance, Silent Attendant and many other cards make only 1 life gain trigger in a circle (from your turn to your next turn). But cards like Royal Herbalist, Leonin Elder or Confessor would generate much more.There is also better to rid off augmenting cards like Ethereal Armor. 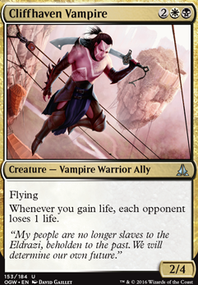 Because it easier to gain life 3-4 times, then to attack with a creature and deal damage (still only to one opponent). Well, in my opinion, there is better way to change whole tactics. More lifelink augments + creatures with more then one trigger in a circle would be more effectively. First off thank you for the upvotes! Really like what you did here. My playgroup is starting to get into PEDH and this is a fantastic starting point for me. 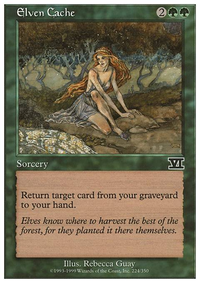 I haven't played any PEDH yet so I am not sure how heavy spot removal is available in these kinds of decks. 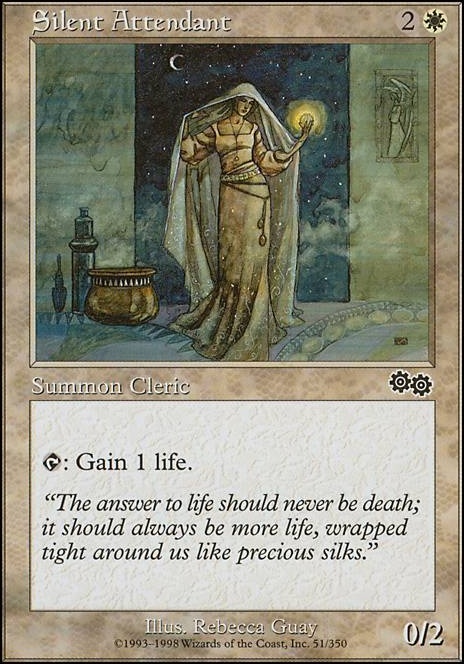 Would something like Icatian Moneychanger, Martyr of Sands, Augur il-Vec, Lone Missionary, Qarsi Sadist, Shu Farmer, Vault Skirge, Scholar of Athreos, Silent Attendant, Benediction of Moons, Death Watch, Golden Urn, Scent of Jasmine and a number of White "Gain X Life" spells fit? I'm guessing card draw eventually becomes the main problem for this deck and you go into top-deck mode. Any advice would be great, really looking forward to giving this a try.